Phelim Donfield was born in Dublin in 1966. He is a self-taught painter and has been painting since childhood. His father is also a painter and it is from him that he took his initial encouragement and influence. Growing up surrounded by painting, he entered and won many well-know childrens art competitions. In 1982, at the age of sixteen he had his first exhibition in O’Connell Schools, Dublin. Following on from this he was convinced that it was within art that his future lay. After secondary school he decided not to follow the conventional route of Art College but opted instead to continue developing his art on his own. 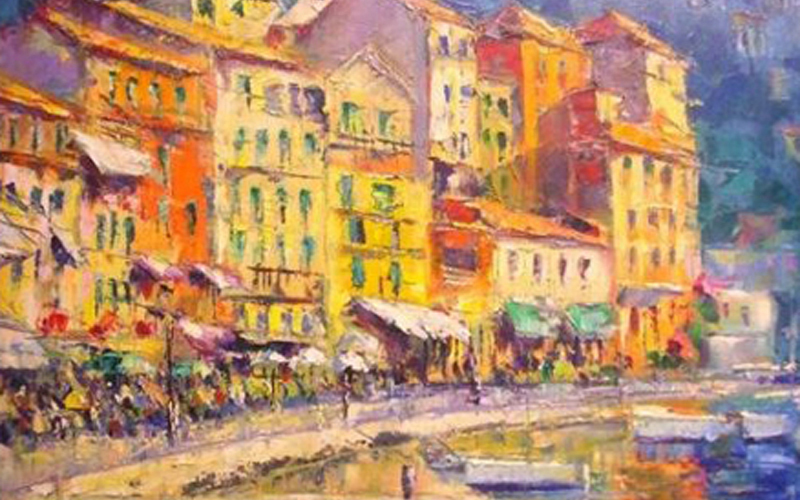 Painting on a daily basis, he also dabbled with photographic and commercial art endeavours. During this time he had also been doing some part-time teaching and realised that there was a yearning among many people to develop and express their creative potential. In 1992 he founded Brushstrokes Art School, Dublin and opened his studio gallery in September 2007 in Fairview. His work is to be found in collections at home and abroad, both public and private including the National Print Museum and Great Southern Hotel, Parknasilla. 'Art Classes for Everyone' is the essential step-by-step guide to developing your drawing and painting skills and techniques. 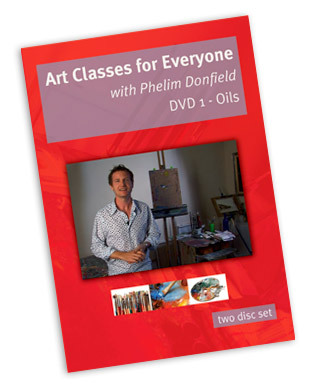 This three hour, two-disc set is the first in a new series of DVDs which form a structured, hands-on and real-time course that caters for all levels of ability from beginner to advanced painters.